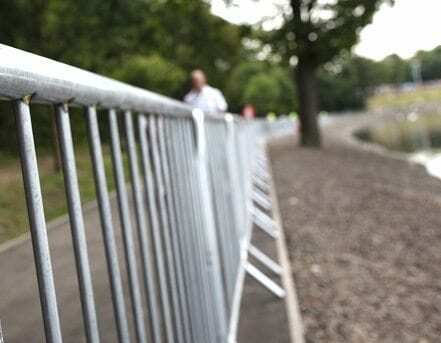 PAL Hire can supply metal crowd control barriers which are ideal for pedestrian and crowd control. Crowd control barriers are ideal to keep the crowd in control and safe. 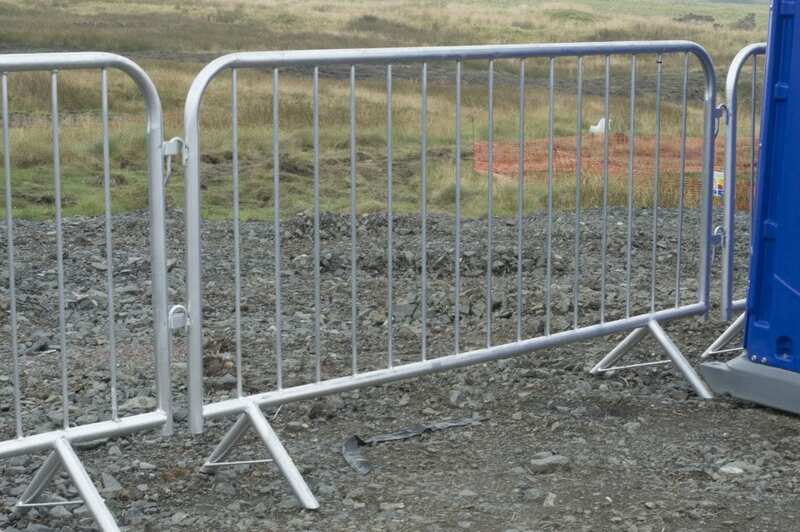 Made of strong galvanised steel, these barriers can be further secured by barrier attachments which can be placed on the base for added protection. If you are not sure how many barriers you require for your event, contact the expert team at PAL Hire who can provide you an accurate estimation and also discussion with you the range of different barriers we have for hire. 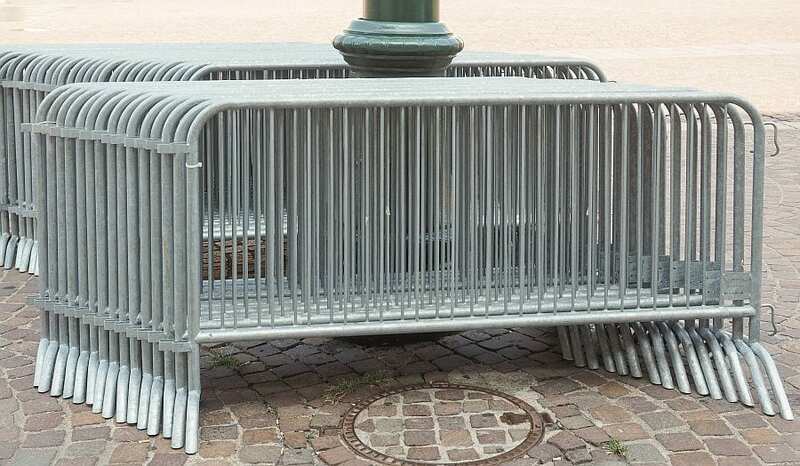 Constructed from tough, galvanised steel, these barriers are built to be strong and designed to control large crowds at public events. The barriers can be easily erected and dismantled, and can also be linked together to form a barrier chain, which can be as long or short as you require it to be. These barriers can be used to divert pedestrians away from a hazard or to control pedestrian traffic. Barriers and fencing are nationwide and can be delivered and collected on the date and time that you require. Area for delivery drop-off and collection must be clear and free from obstruction.